Enjoy the famous hot beverage with an added kick! 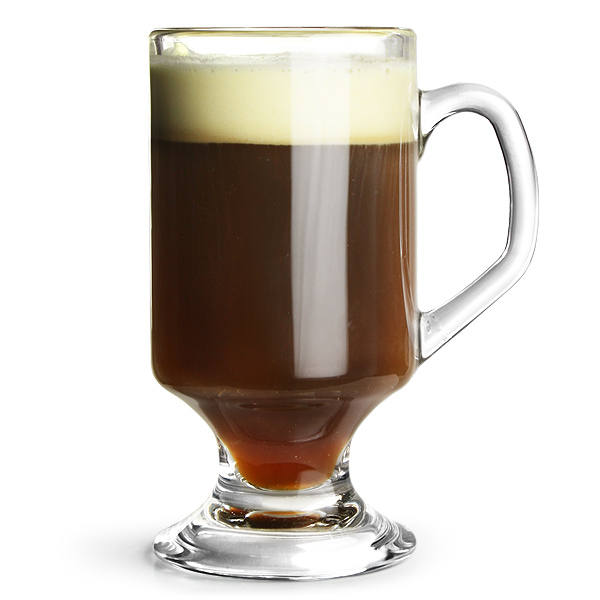 Sweet and sharp, the Irish Coffee is sure to wake you up! 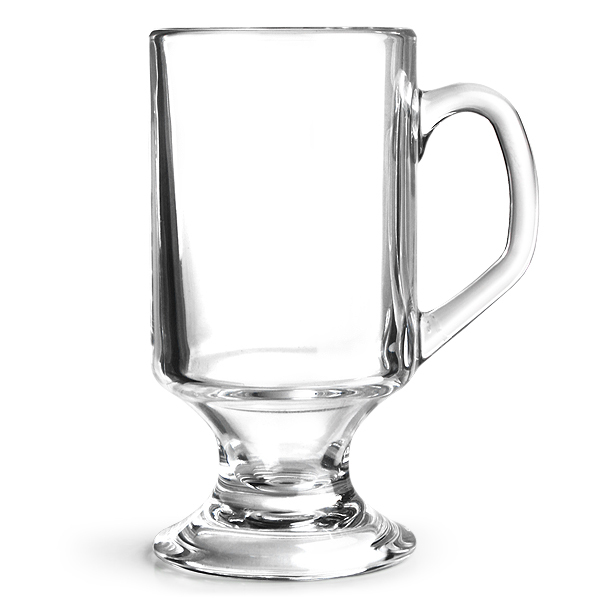 With a broad foot and large capacity, this set of Irish Coffee Glasses can hold enough of your special brew to keep you warm through the night! "As always another great product from drinkstuff! Perfectly weighted and the volume is just enough." "Good style glasses with nicely placed handle. Seem tough too." "These glasses were bought as part of an on-line order. They arrived well packaged and in one piece. They were as described and good quality. Ideal for herbal teas and coffee. I would purchase more and would recommend them." "I hesitated before buying these as I'd seen a few reviews that said that two people experienced a glass 'exploding' when hot liquids were poured into them. Well, so far I've had nothing to suggest that this would happen. I've poured boiling hot water into them a few times to pre-warm them before making a drink in them and have not had the slightest problem. Surprisingly, unlike glass, it takes a while for these to warm up even when filled with boiling water. About 30 sec after filling, the outside of the glass is only mild-warm, which I find quite reassuring and hence why I pre-heat my glasses before putting any drink in them. Consequently, there's minimal heat loss from the glass once the drink is made, so your drink is still nice and hot by the time you get to the bottom of the glass. They are a very classic and simple style and I prefer having the handle on the body of the glass (some glasses have those smaller handles at the base of the glass). I find it makes it easier to balance a full drink - being able to relax while holding a drink is as important at the drink itself!" "Good size sturdy Irish Coffee Glasses. Reasonably priced and very good quality." 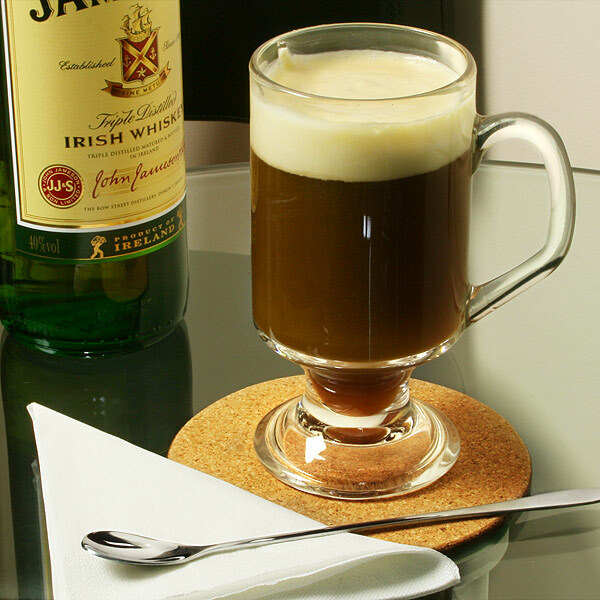 "Spent ages searching for glasses that would suit Irish Coffee and Mulled Wine. These glasses are brilliant. Delivered speedily, well packaged and perfect for Christmas."